I literally can’t believe it’s already the 4th of July. For me, that marks halfway through the summer and I feel like I’m not even ready. Like, is there a such thing as a summer do-over?! 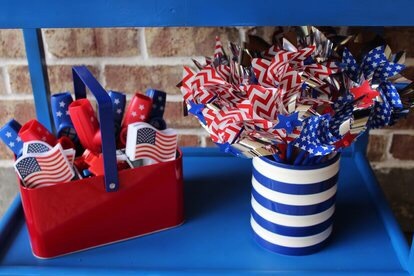 This patriotic red, white and blue soirée makes us want to sing “America the Beautiful” from the mountain tops! Let’s talk about the super adorb details-shall we? 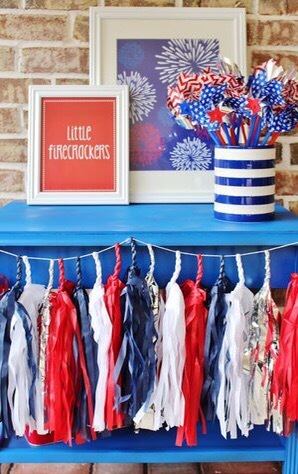 Our patriotic tissue tassel banner just looks darling against that blue table. And the whistles and noise makers are so perfect for keeping little ones (and big ones) entertained. 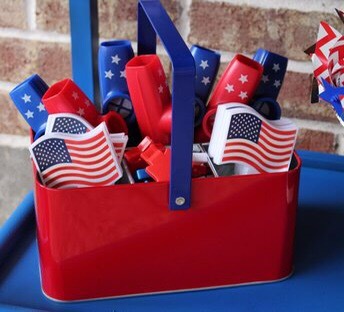 Literally, whenever I see all of the festive red, white and blue- even in stores I do get a sense of excitement and nostalgia! Traditionally our family goes to our town’s 4th of July parade in the morning and we watch the fireworks at the fairgrounds at night. 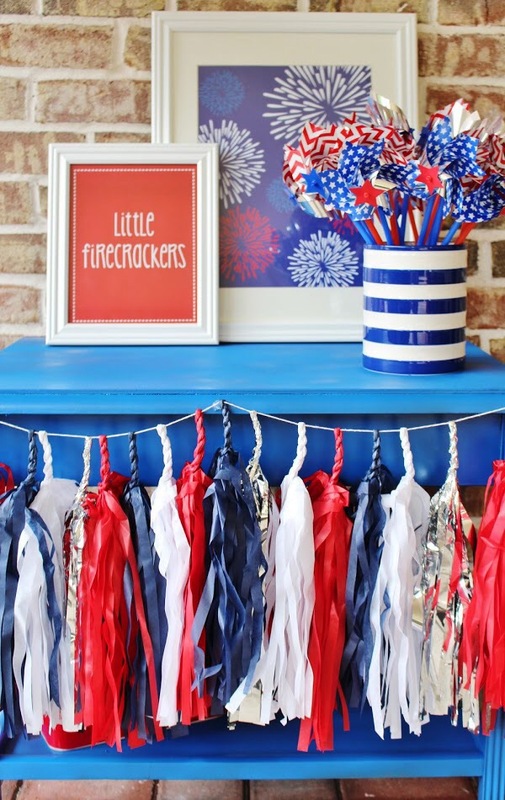 What are your family traditions for 4th of July?